What would Martin Luther King Jr. think about us? 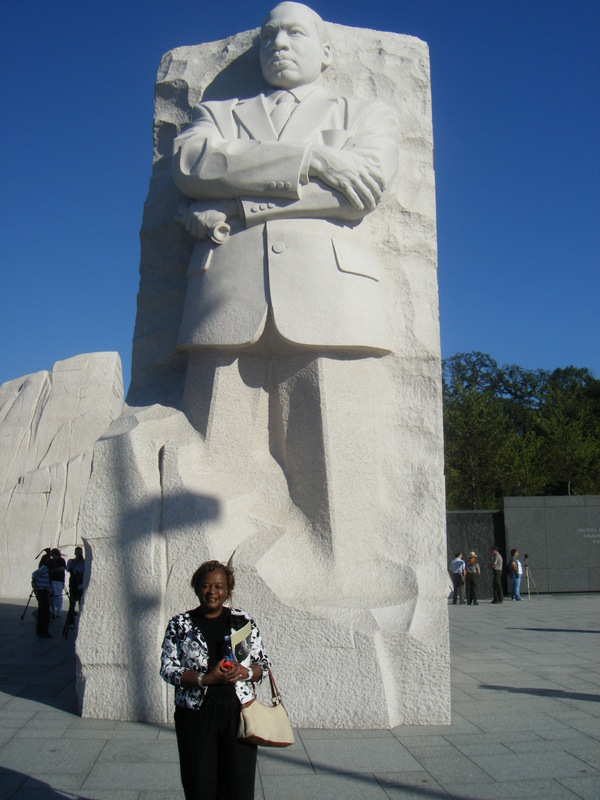 On Monday I got the opportunity to view the Martin Luther King Monument in Washington DC. I felt that the nation was making a valiant attempt to honor a man who sacrificed his life for civil rights, but later when viewing Facebook entries I saw people who were critical of the monument sounding off. They said what a waste that money could have been used to help the poor, but this money was raised from donations not govermental handouts. People gave because they wanted to, but the other troubling thing I saw this week was everybody saying what the slain leader would have thought about our problems. Keep in mind Dr. King has now been dead for 43 years. Alot has changed in 43 years. I saw poeple saying what he would have said about black unemployment, gay rights, women’s rights and foreign policy. Everybody had an answer, but the reality is no one knows what he would have thought or said when looking at the state of the United States circa 2011. My question to those of you old enough to remember Dr. King is do you have the same opinions that you had 40 years ago or 30, or 20, or even 10 years ago? No, you have probably evolved or changed completely. Dr. King is a figure that we have frozen in time and people make statements regarding the slain leader that are reflective of their own evolution not his. This morning I had the opportunity to visit the Martin Luther King Jr. Memorial. I attended a media preview event of the Martin Luther King Jr. Memorial in Washington DC. As you can see in the photo I am standing in the shadow of the King and that is such an appropriate analogy. King cast a big shadow as he battled societal adversities. I felt a sense of pride as I looked at the monument and also a sense of melancholy as I read the 14 passages from his speeches throughout the years, and thought about what he was going through when he uttered those words. It took over 15 years to bring this project to fruition. The Martin Luther King Jr. Memorial is the first on the National mall to pay tribute to an African-American. It is adjacent to the FDR Memorial and in a direct line between the Lincoln and Jefferson memorials. the ceremonial groundbreaking took place on November 13, 2006. The memorial will be officially dedicated by President Barack Obama and members of the King Family On August 28, 20011, the 48th anniversary of the March on Washington and Dr. King’s historic “I Have a Dream” speech. We have come along way in 48 years and the Monument is a testament to that fact.